Joseph De Boer, one of the oldest Dutch settlers of the city, and for fifty-one year teamster for the Nelson-Matter Furniture Company, and its predecessor, the C.C. 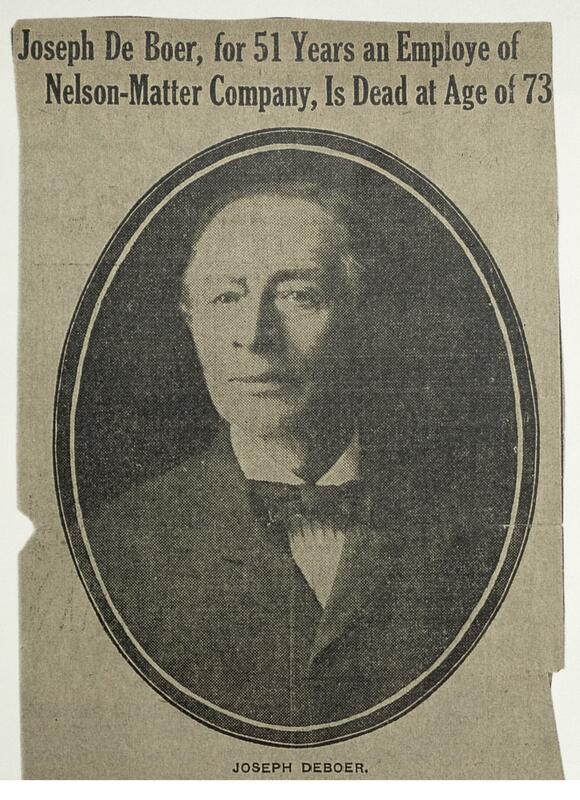 Comstock Furniture Company, died at his home, 222 Turner St., March 17, 1912. Mr. De Boer came here from the Netherlands in 1855 and in 1861 he was married to Miss Martha Moerdyke. They had eleven children, all of whom still live.